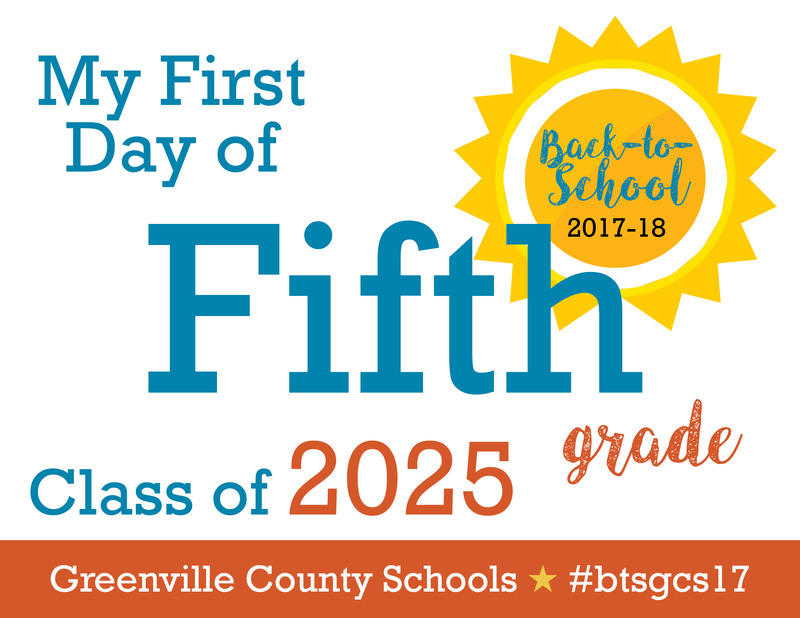 To make it a little easier for you to take those back-to-school pictures, we have created signs for your children to hold up to celebrate the beginning of a new school year! 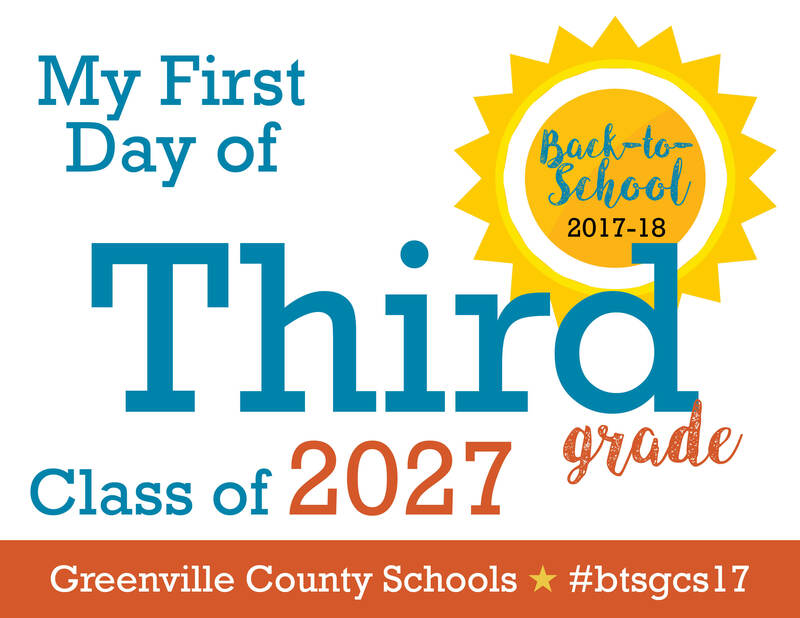 Just print the appropriate grade level from the list below. 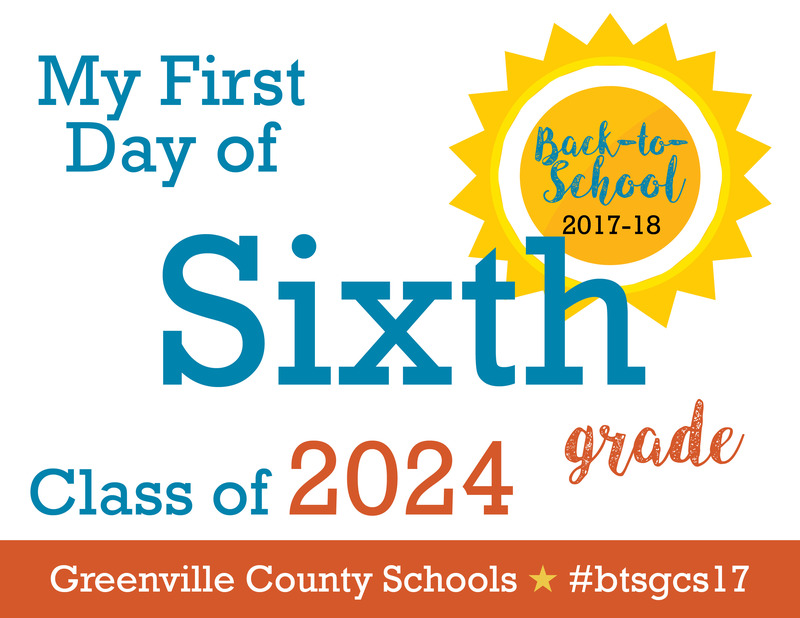 When they are all spiffed-up and ready for the first day - hand them a sign and snap a photo. 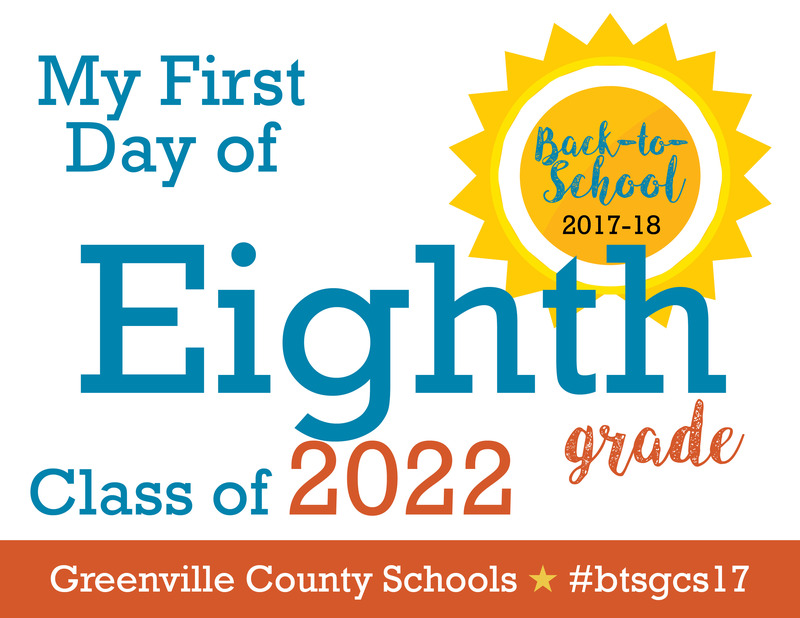 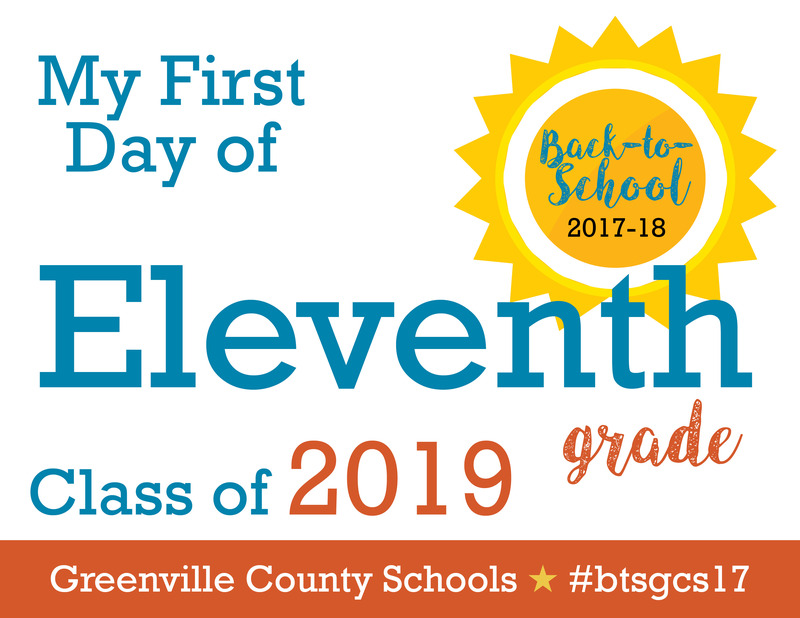 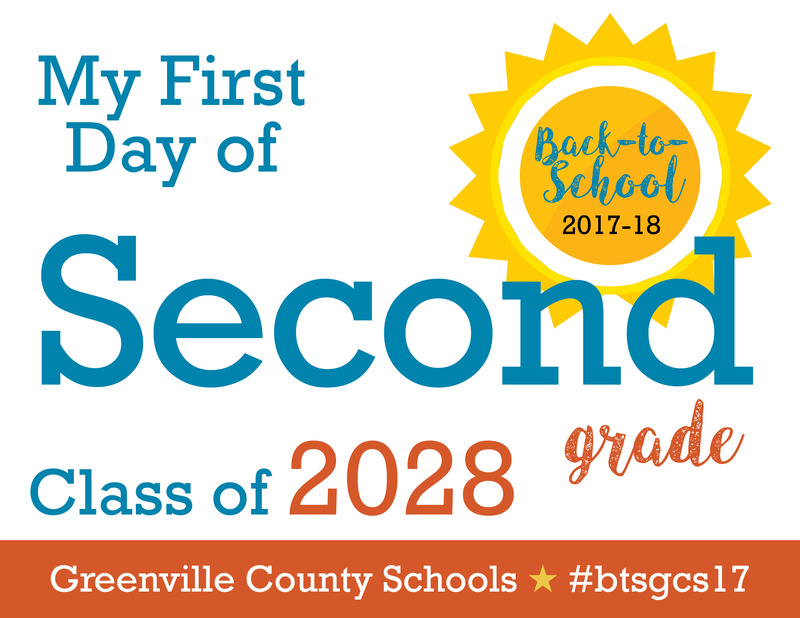 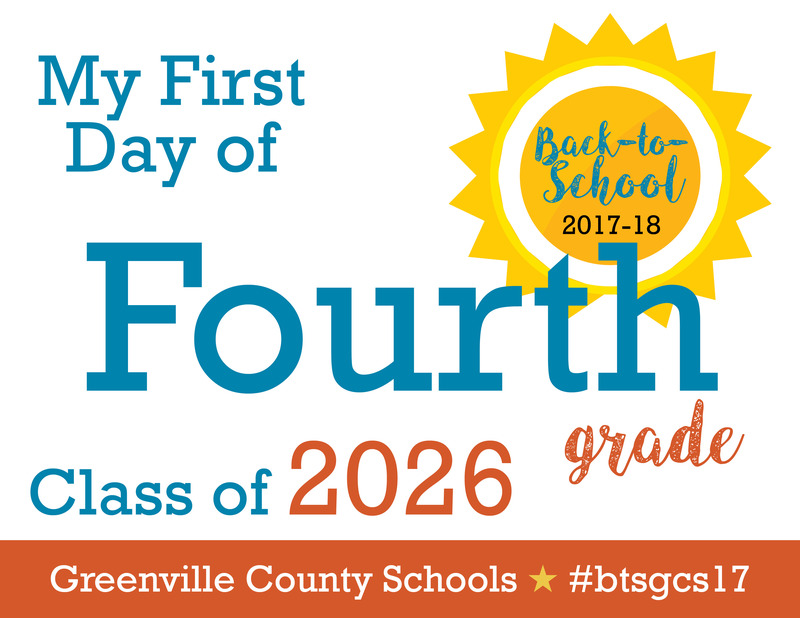 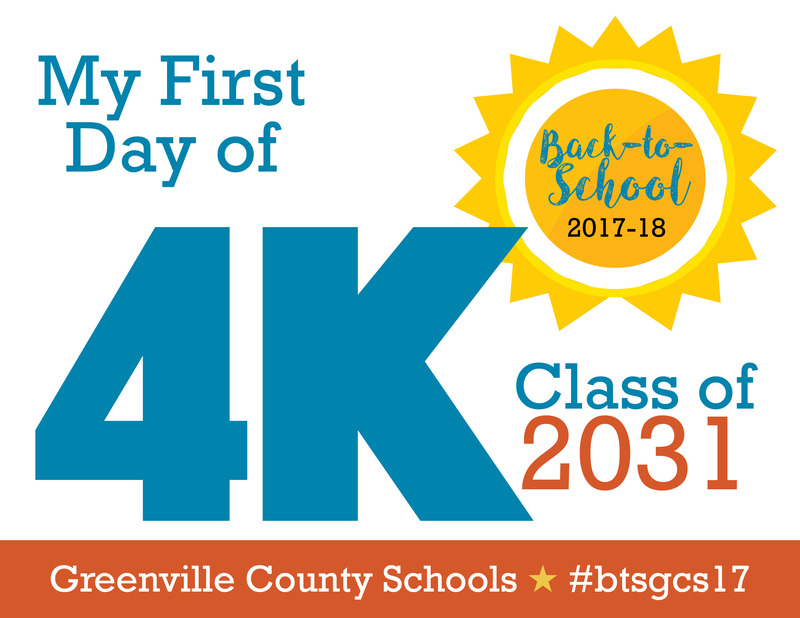 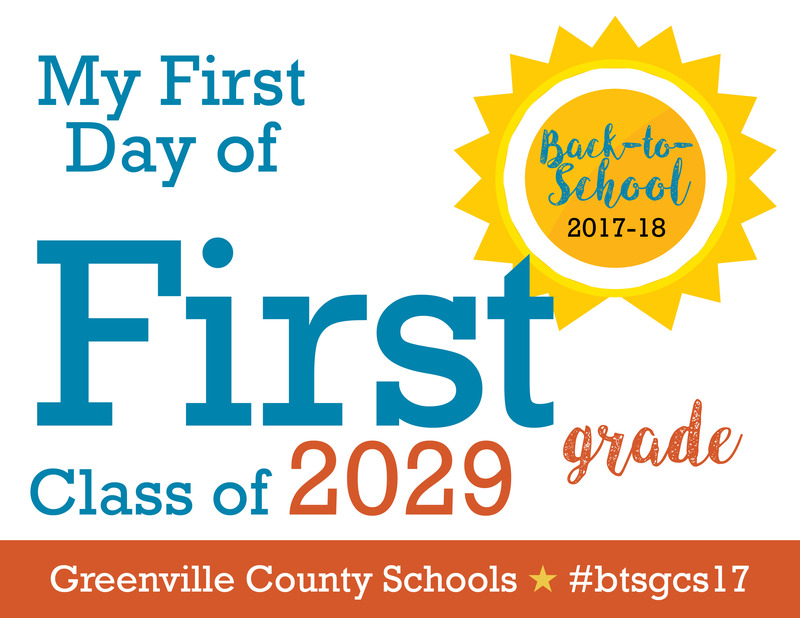 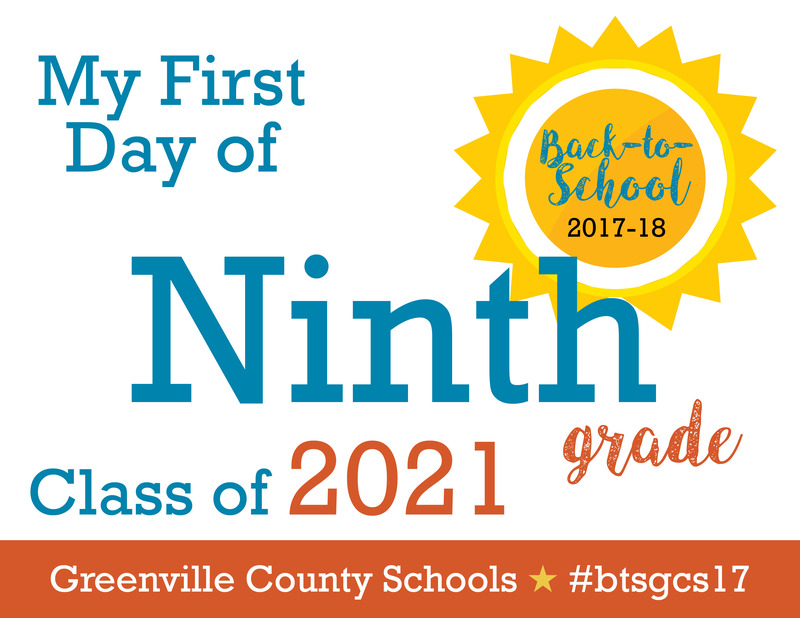 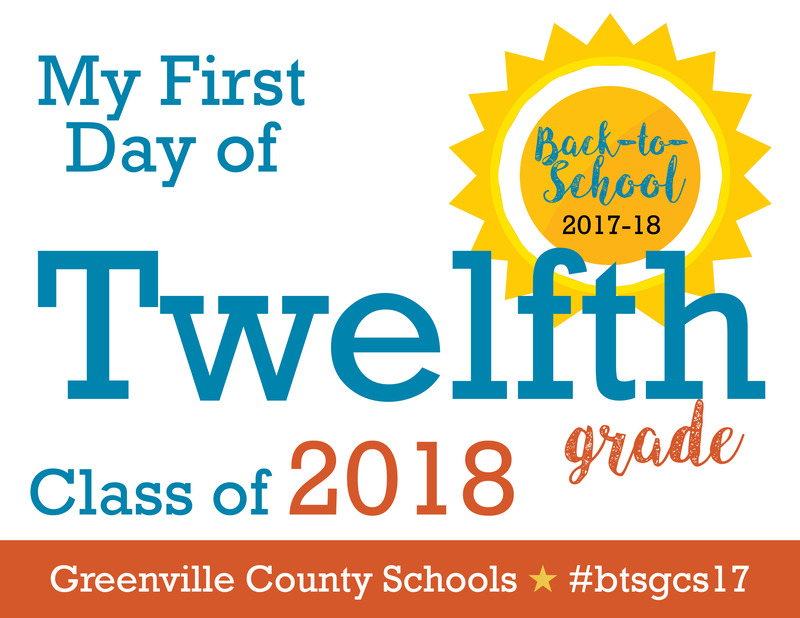 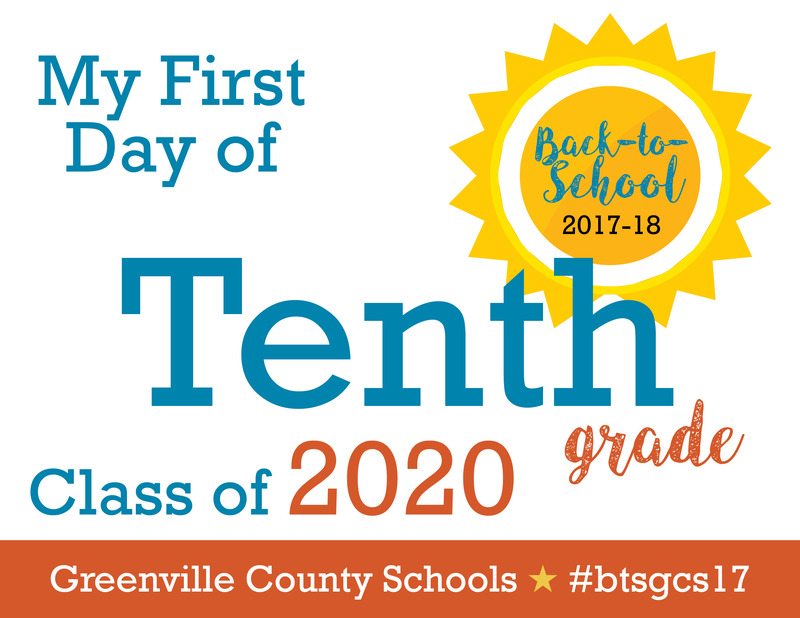 Make sure to send us a copy at facebook@greenville.k12.sc.us. 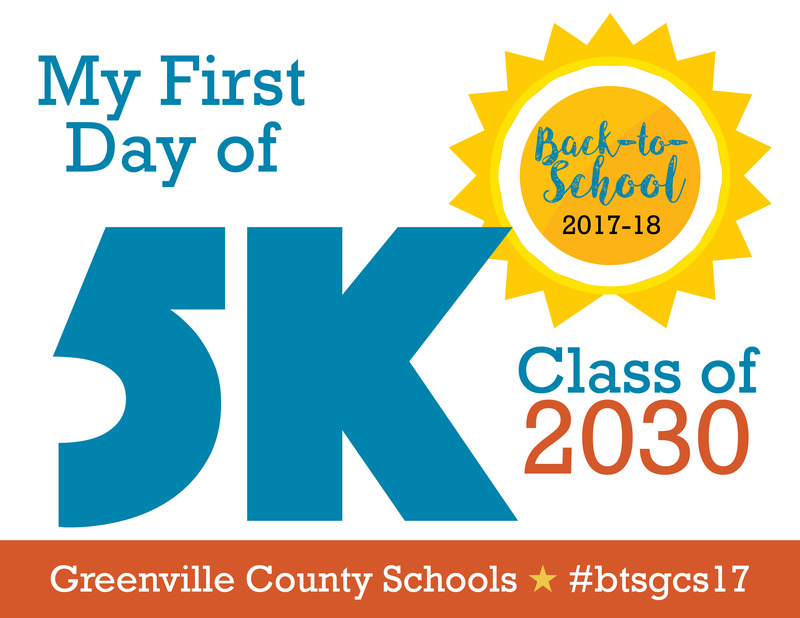 We will be sharing some on our Facebook,Twitter and Instagram pages! 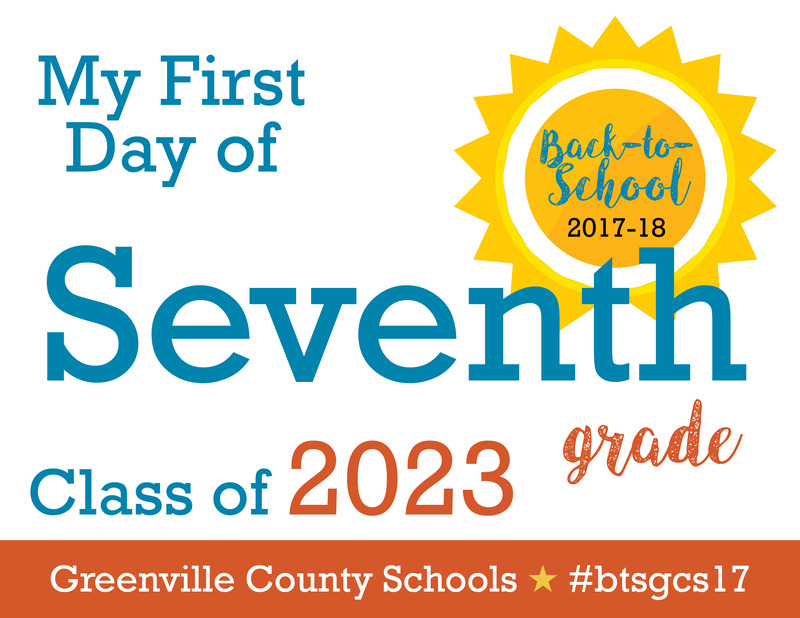 If you post yourself, don't forget to tag your photos with #btsgcs17.